Organic Mattresses: Can they help sleep? Materials that create our mattresses, box springs, sheets, pillows, and comforters can pollute our indoor air quality and undermine our sleep. 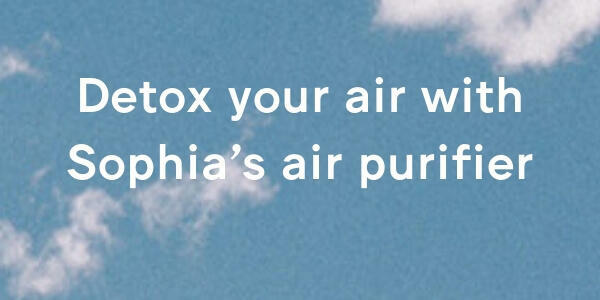 Detoxing your bedroom’s air quality alleviates your body for more resources to repair and restore. One day in 2007, before my first child was born, my husband came home with a crib mattress for our new daughter. With the enthusiasm of a proud, expectant parent, my husband told the sales representative to “sell me the most expensive mattress you have!” His thought process was one that many of us share: The more expensive the product, the better it must be. Months later, when my daughter was four months old, I read that conventional crib mattresses can off-gas toxic fumes that may contribute to sudden infant death syndrome (SIDS). Uncertain about how concerned to be since I had never heard this warning before, I hunted for facts by credible sources. I hunted hard and long because information by objective sources was scarce. 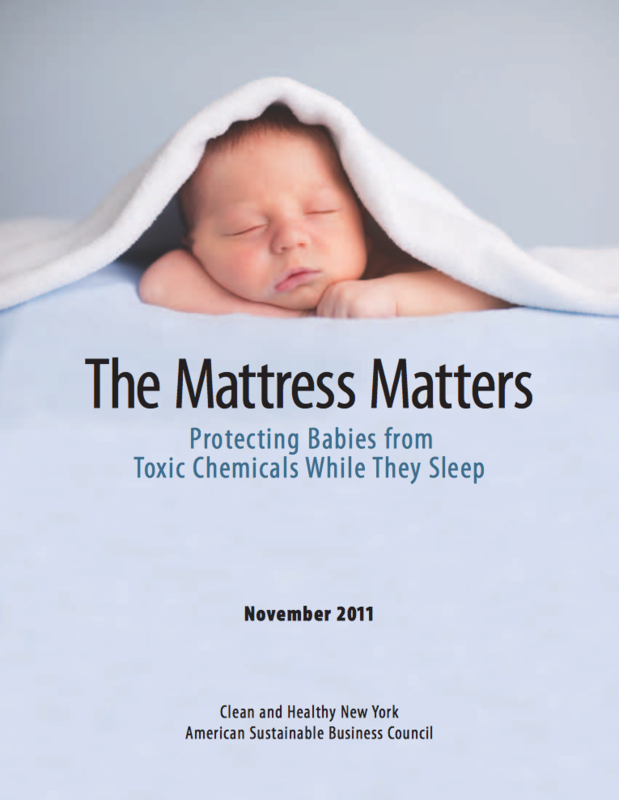 Then, in 2011, the nonprofit Clean and Healthy New York published a helpful report titled “The Mattress Matters: Protecting Babies from Toxic Chemicals While They Sleep.” The report validated concerns I had formed as I thoughtfully collected “fact dots” on the subject. Ultimately, my due diligence convinced me that incorporating organic mattresses into my home was the best choice for my family. But the research didn’t end there! When it was time to actually choose a mattress, there were still a tremendous amount of details to sift through in order to answer crucial questions: What materials are toxic, and which can be trusted? Which third-party certifications are trustworthy? Do I need to replace all of the mattresses in my home, or will detoxing certain rooms have a higher impact? To help those who are interested in purchasing organic mattresses for their home, here is my perspective on 8 common questions regarding this important purchase! Q1. Why should I consider replacing my mattress with one that is made from nontoxic materials? Conventional materials are often made of materials that can contaminate your indoor air quality and dust. Some of the common ingredients in mattresses—vinyl, adhesives, and polyurethane foam—are made with chemicals that are linked to very serious health effects, including cancer. Additionally, some studies suggest that sleeping on nontoxic materials can improve your breathing during sleep and alleviate other symptoms like headaches. Some organic mattresses are made of materials that emit significantly fewer toxic fumes. While the following statistic resulted from a study funded by an organic mattress manufacturer (and is therefore arguably biased), it helped me decide to invest in organic mattresses for my family: In a study of off-gassing from mattresses, a conventional innerspring/pillow-top mattress emitted 39 VOCS (or volatile organic compounds) over a period of 24 hours. 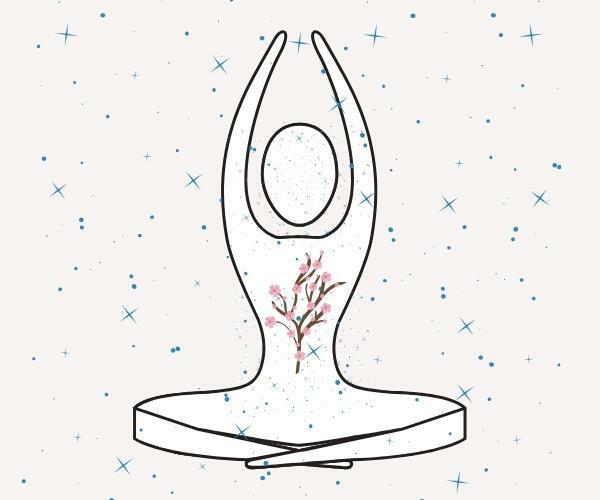 The organic mattress alternative emitted 97.5% fewer VOCs during the same testing period. Q2. Should I replace every mattress in my home with a healthier version? Most of us spend one-third of our lives sleeping, so the bedroom is a high-impact area to purify. However, if replacing each mattress in the house isn’t practical, prioritize: Children have unique vulnerabilities to toxic exposures because their bodies are rapidly developing. So, mattresses for the youngest members of the family should be detoxed first. The elderly may also be particularly vulnerable to chemical exposures, too, so keep that information in mind if it’s relevant to your circumstances. Keep in mind that levels of off-gassing—the process by which chemicals are emitted into our indoor air— are highest when the product is new, and decrease over time. However, off-gassing is also known to occur years into a product’s life. That knowledge can help you decide whether it’s worthwhile to replace your mattress now! This is just one example of what components may be included in a common conventional mattress, such as springs and foam. Q3. What is the best natural organic mattress? 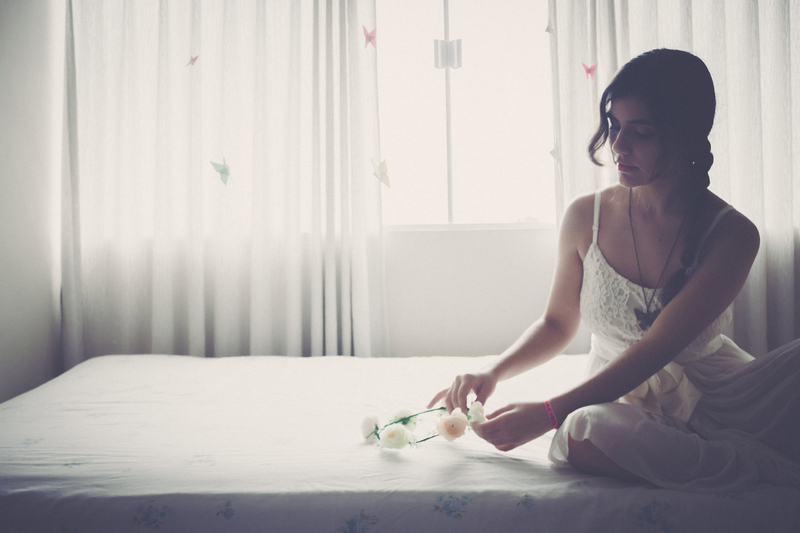 Finding the best mattress for you will depend on your standards and budget. There are many options that offer various levels of purity. While high price points don’t necessarily mean that the product is healthier, I will note that the brands that I found to be most pure are often more expensive. Q4. How should I choose which mattress company to buy from? Ask informed questions to company representatives, about the exact materials that they use during the manufacturing process. Keep in mind that a company that completes each step of manufacturing independently—instead of simply adhering materials that were sourced elsewhere, and already treated—is more likely to be knowledgeable about each step of their process, and to have more control over the composition of their product. When speaking to representatives, be diligent. If one can’t answer your questions, try a different representative from the same company to hear their perspective. If the company can’t properly address your questions, then consider that a red flag: companies that offer true quality ingredients can typically speak in great detail about all of their materials. Consider talking to smaller companies first, so small business owners can educate you on what to ask the larger retailers. Q5. What are the key steps I can take in selecting a healthier mattress? 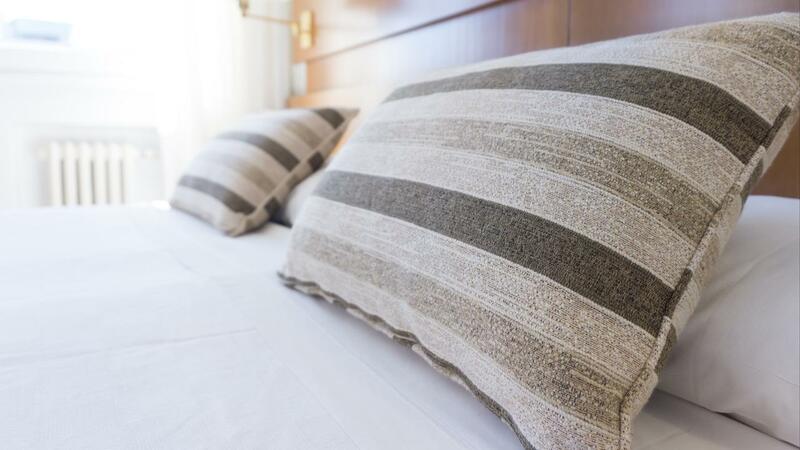 Avoid key toxic ingredients currently used in mattresses, such as vinyl, polyurethane foam, chemical flame retardants, and metal (if you’re wary of the potential health consequences of EMFs from our technological devices). Be suspicious of treatments. This includes flame retardants, but also antibacterials, anti-wrinkle treatments, and stain-repellants. They all contain a number of chemicals that are linked to serious health effects. Think critically about the types of adhesives used. Many adhesives off-gas a number of toxic chemicals, and are sometimes more toxic than the materials that they are bonding! Don’t buy your mattress on the internet without knowing what it is made of. For more guidance, see the tip above on choosing a healthy mattress company, or consider consulting A to Z of D-Toxing, which details key questions in order to assess how knowledgeable the sales representative is. Q6. What mattress materials are healthier, and safer bets? Organic cotton (certified organic is the most reliable) and wool are great for mattress padding and cover fabrics. 100% natural rubber, or natural latex, is excellent as a safe supporting core material—but be cautious if you have a latex allergy! Be wary of misleading marketing claims concerning natural latex/rubber, though: Manufacturers may claim that their product is “made from natural rubber,” but it still may be primarily synthetic. To be sure, verify that the mattress is made completely from 100% natural, organic material, derived from the milk of the rubber tree. 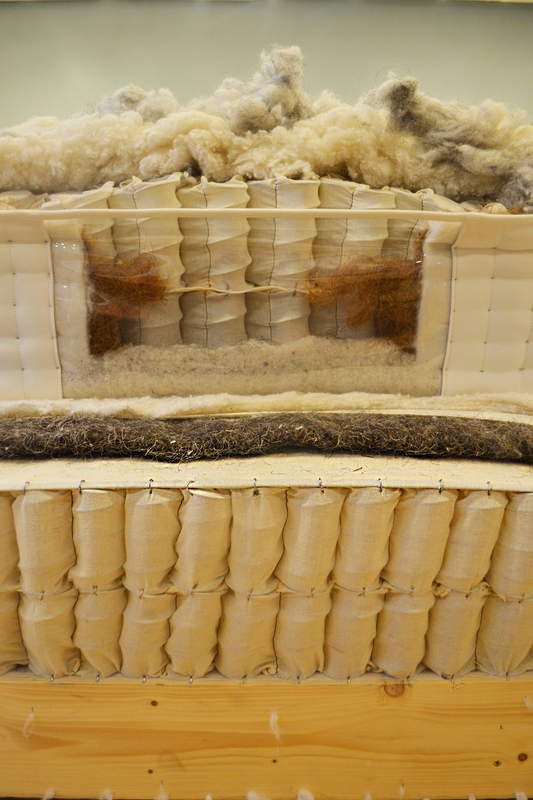 The mattress above is composed of natural latex, which is known to be a healthier mattress material. Q7. Are third-party certifications helpful in identifying healthier mattresses? There are many third-party certifications available, and they all have required different standards. So, while some certifications may be trustworthy, it’s just hard to know which ones are helpful without doing extensive research. If you do search for certifications, seek ones that have no financial or other ties to the industry, or a specific company. Since certifications often serve as a selling point, consider that labels (such as organic and natural) and third-party certifications may not mean what you would hope they would. The best certification just may be your own instincts and thorough due diligence. Q8. If I can’t buy an organic mattress right now, what can I do with my existing mattress to make it less toxic? If you suspect that your mattress is still off-gassing toxic fumes (this process happens much more in the beginning of a product’s life, but it can last for years), then ventilate the room as much as you can, and vacuum frequently. Using a vacuum cleaner that has a HEPA filter is the most efficient at removing small particles. 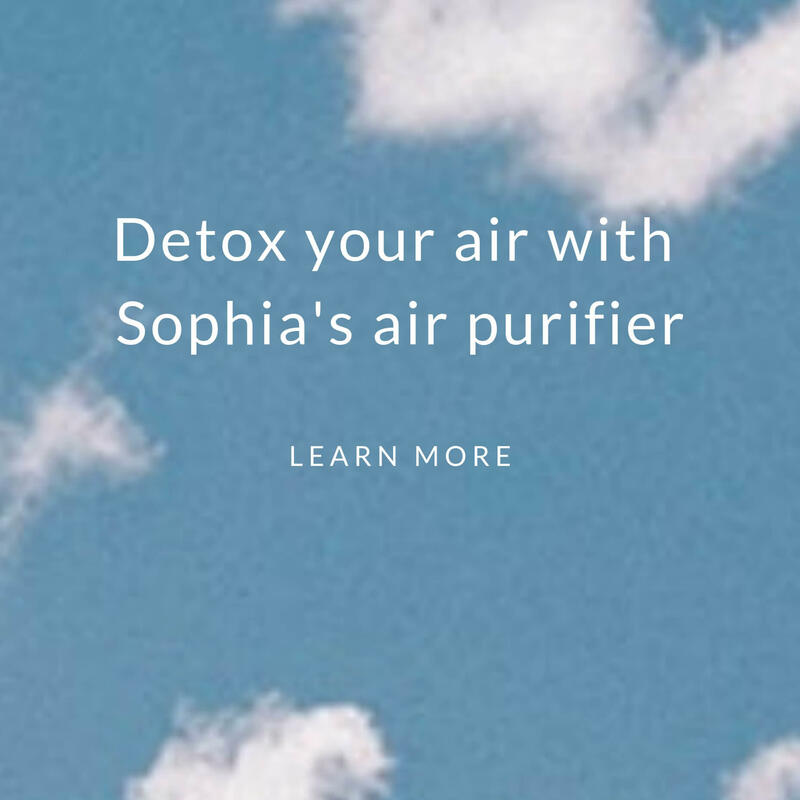 Ventilating will help remove VOCs—volatile organic compounds— from your air, and vacuuming will reduce the amount of toxic household dust that leaches from your mattress, and lingers in your bedroom. Podcast with Organique, a provider of organic mattresses.